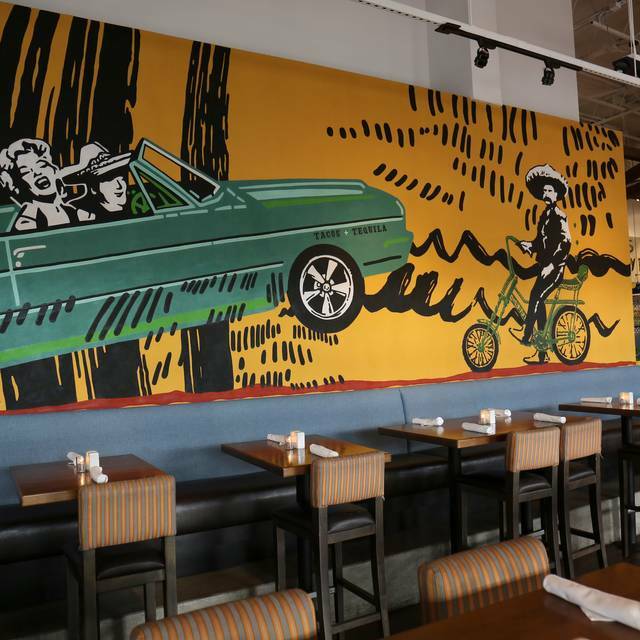 There is free parking in the parking lot to the north of the Biltmore Fashion Park, as well as metered parking that can be validated for up to two hours, directly in front of the restaurant. Guests also have an option of paying for Valet service as well. Blanco Tacos and Tequilas offers a Party Pick Up menu that consists of prepared dishes that you can take out of the restaurant and serve buffet style at your function. Included are items like homemade guacamole, Mexican street corn, and creamy queso dip, to house made enchiladas, build your own taco bar, and fresh sizzling fajitas. Packages options can include rice, beans, salads, and chips and salsa. Please call the restaurant for details. We do not currently offer delivery service for Party Pick Up menu. Enjoy flavorful dishes like our award-winning Slow-Cooked BBQ Pork Tacos, and our Mexican Chopped Salad with crispy tortilla, black beans, corn and guacamole. Take advantage of our full bar, stocked with a rich selection of tequila, wine, cerveza, and craft cocktails. If you’re in a hurry, check out La Ventana Rapido – our fast-paced taco window. I used to be a huge fan of this place and visited frequently (2-3 times per month for several years). Recently they changed their menu and it's really not good! Their happy hour used to be amazing with an assortment of drinks and now all you can choose from is some mediocre sangria or a truly unpleasant basic margarita. Why mess with a wonderful thing after so long? I will not be returning. Great place to eat. Food is fresh and yummy. All staff made us feel like we were being rushed out of the restaurant. Pretty ironic seeing as how the restaurant was half empty. Our waitress was pretty nasty to say the least. We’ve been to the other location in Scottsdale, the Biltmore location could take a lesson from them!!!! I’m so sad that Blanco has changed so many of their menu items. The cheese dip is not as tasty, the black beans are not as fresh, the Mahi tacos (a personal fave) were dry and over cooked. I’m hoping this visit was a fluke, but one of my favorite places to dine in Phoenix was a complete letdown this weekend. The atmosphere was fun and awesome. Service was tremendous. Can’t wait to go again!! Easy. Relaxed. Communal. Worth it. The queso was smooth and delicious... I don’t like queso. Have been a frequent customer and found out that they change their salsa! So disappointed. The old salsa was way better and made blancos different from the rest of the Mexican restaurants. Portions are also smaller now. I was there for a business luncheon. The food was Fabulous, the server was fantastic, the noise level was a little loud. Overall great experience! We enjoyed dinner on their patio. We’ve been to Blanco’s more times than I can count. We bring all the people that come to visit us because we know the food will be delicious and the service will be just as good! Don’t hesitate. Just go. The service was not good. One of the entrees was a salad with chicken and it came out without the chicken. We asked the waiter to make sure we weren’t charged for the chicken and they very nicely took the salad off of the bill. We had ordered a side of cheese for the fajitas that came well after we were finished with the meal even after reminding the waiter twice that we didn’t get it. The margaritas were below average, as well. Overall a very disappointing restaurant experience. We usually like this restaurant however our last visit was disappointing. The soda was flat and the service exceptionally slow. The restaurant was not crowded,several open tables. When dinner came it was cold but as we had waited so long we ate part of it. To his credit the manager apologized and adjusted the bill however that doesn’t make the experience any better. I would rather pay full price and enjoy the dinner. We won’t be back any time soon. Tacos were great! Do yourself a favor and order the guacamole with the chips! BBQ pork tacos were excellent! Service was great, drinks were good. Nice ambiance. Worth a visit! Great food, great service and an amazingly dog friendly patio. Our family of four enjoyed dining here while in Phoenix. Between us, we had mahi and beef tacos, shrimp fajitas. The service was good and food also tasty. I had read a Thrillist review rating this as a top place for Mexican food in Phoenix. Not sure it rose to a top spot in my book but I'm guessing as a Fox restaurant, it was rated high for consistency in delivery. Usually good place but this night service was very slow and some of the food was burned and over done. The food was really good and they have vegetarian options... vegan if you get the black beans and no cheese! Our server was so kind and professional, answering the questions we had about the "best" things on the menu, and her recommendations were spot on! I had the Skinny Margarita, and my friend the Pomegranate Margarita - both yummy. My hubby had the special with jalapeno and pineapple and he loved it. We started with Ceviche and guacamole. The Ceviche was really good, and the chips are served to the table warm. We all three had the tacos - avocado, mahi mahi and short rib for me and short rib, and carne asada for the other two. The short rib was tremendously good, and the others were delicious as well. Would recommend this place for the cool vibe, great location, terrific service and truly wonderful food and drinks. Server and overall staff we encountered was very sub-par. Wrong appetizer brought to table and the correct appetizer was not brought to table until entrees arrived. Spouse was served the incorrect salad entree. I Ordered a second cocktail and waited, waited and waited. I had to remind the server that I indeed ordered a second cocktail, she said bar was very backed-up (with only four bar seats occupied), then within one minute my cocktail arrived. This place needs to up their game. Too many other good options in Phoenix to waste my time on amateur hour. Came here to celebrate my moms birthday and they made it very special! A great experience and great food! Amazing cocktails (sparking sangria is to die for! ), delicious food and relaxing, resort vibes as usual! GM Harry made our guests feel so at home. Blanco supporters for life! Great fish tacos & guacamole! Really enjoyed our meal. Great happy hour menu, both food and drinks. Service was outstanding! Food was cold. Asked if I could make a substitute and advised, yes but then charged. This restaurant was referred by a friend... it was well worth it. The food was great, the service was excellent, and the location was convenient. 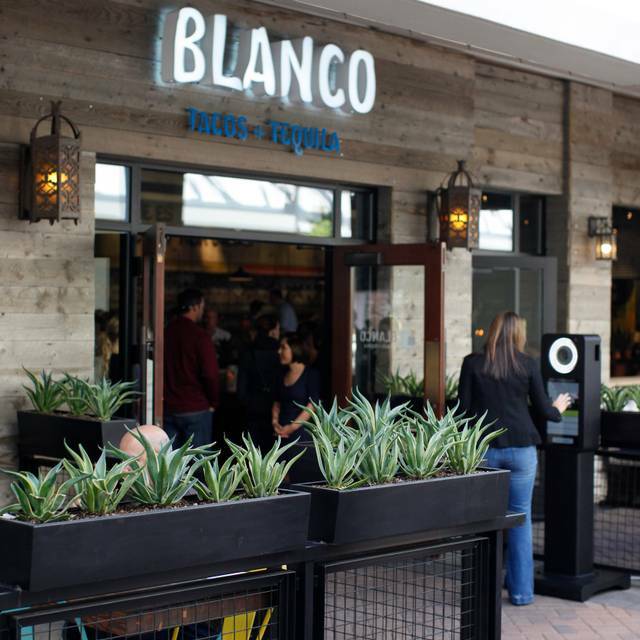 Blanco Taco's happy hour is a great deal. And this time of year the patio is the perfect setting! HH margaritas are $6 and delicious. The HH taco menu is limited to only 3, but I can vouch for the machaca. That plus a simple salad was perfect. Have never eaten off the regular menu but imagine the quality is the same. Wait staff are friendly and quick. Highly enjoyable.